Discover the treasured ways of the past and present in a whole new view of the Rhine River. 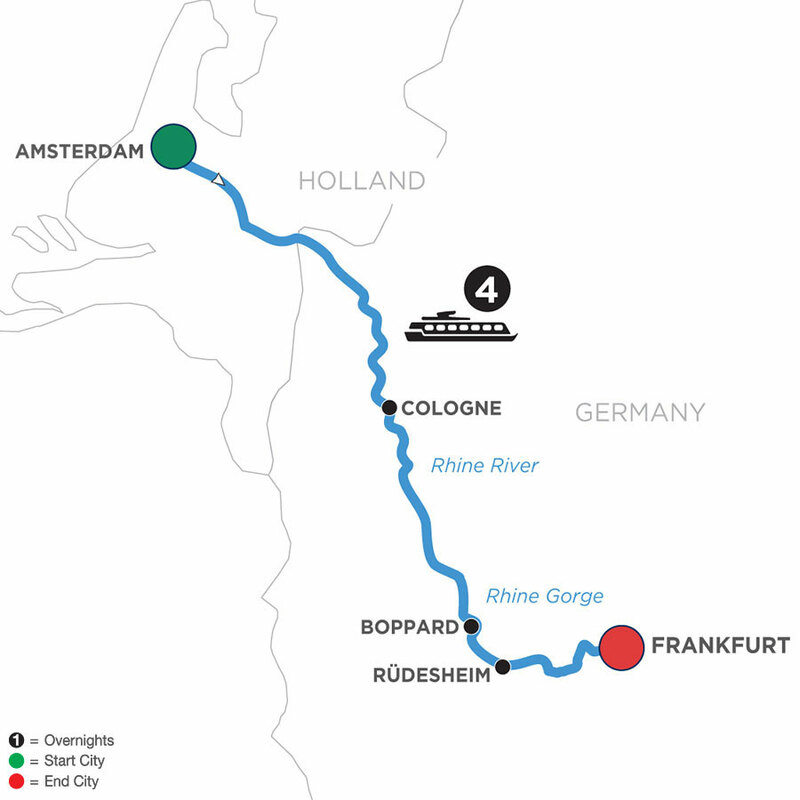 From Amsterdam's colorful canals to the serenity of the Rhine Valley, your European river cruise gives you the perfect taste of the charming spots in Germany and Holland. You'll cruise through the magnificent Rhine Gorge and sample the scrumptious specialties along with regional wines, beer, and coffees in local cafes. 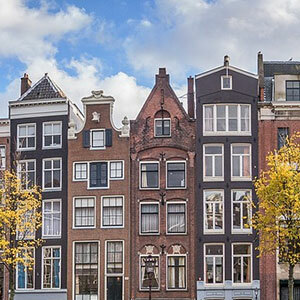 Explore the iconic city of Amsterdam on a guided canal cruise, enjoy the fascinating city of Cologne with its soaring gothic steeples, and take in the peaceful charm of Boppard and Rüdesheim along the Rhine shores before disembarking in the marvelous medieval town of Mainz.